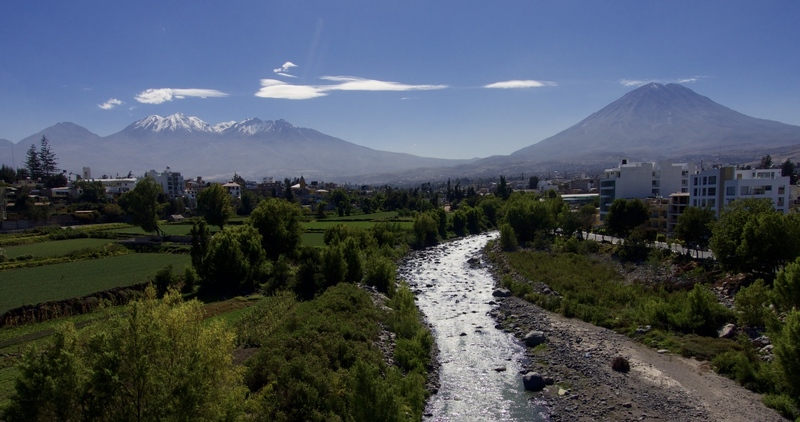 Published 2016-05-28 at 1200 × 633 in On Seeing “Eiffel’s Bridge” in Arequipa. Chachani (left) and Misti (right) are visible from the entire city. Both over 6,000 meters, they are popular climbs.